If your adult dog or pup loves to play outdoors and accompanies you on fun-filled activities such as camping, hiking or trekking then there is a strong probability that he picks some nasty, irritating and unwelcome insects along the way. Yup, you guessed it, we are referring to fleas. So, is there an effective way you can perform to check whether or not there are fleas on your dog? If yes, is there anything you can do help him get rid of these critters? And are there any preventative measures you can take to stop them from infesting your dog in the future? If you are looking for answers, read on. When it comes to how to tell if your dog has fleas, the best thing to do is to check your dog’s fur. Use a soft dog brush to split his coat. Once you do this, the fleas will sense danger and will run on the other side of the fur to hide from you. 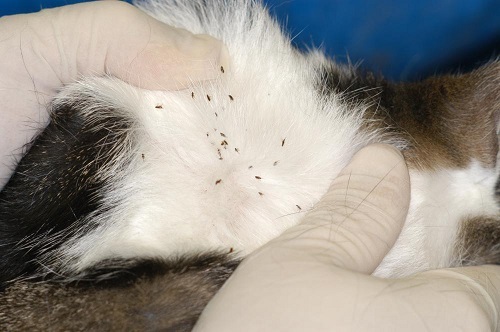 Fleas are dark brown in color, so spotting them should be easy. This is another important step you need to take. After you prepare a bath for your canine companion, clog the drain. Why? Well, by not letting flush down you will be able to see fleas swimming in the water. 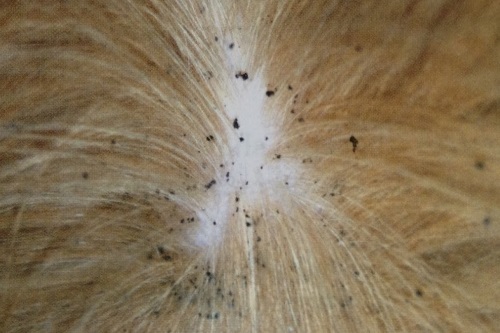 If you spot tiny dark brown dots floating around, it means your dog has fallen prey to them. Furthermore, buy a good flea comb to inspect your furry friend's coat gently. As a rule of thumb, always begin by inspecting your dog’s ear and the rump, fleas love these two spots to hide in. 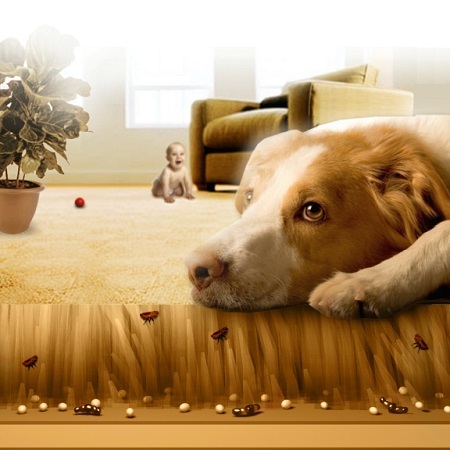 Another effective of determining whether or not your dog has fleas is to check for flea dirt or their excrement. These are tiny and look like black flecks of dirt. Place a white tissue on the floor where you were inspecting your dog, if he is infected with fleas, a small, reddish oval shape will appear. If you see a tiny bug on the tissue, try using the tips of your fingers to crush it. Remember that fleas cannot be crushed so easily, so if you manage to squish a bug with considerable ease, chances are it isn't a flea. My Dog Is Infested With Fleas – What Do I Do Next? The best thing to do is thoroughly wash your dog with a go﻿﻿od flea sham﻿﻿poo or a home remedy for dog fleas. If you are going with a flea shampoo, you need to ascertain whether or not the chemicals and insecticides in the product can harm you pooch. Consult with a vet on which shampoo to buy. After you get your hands on one, rinse your dog beginning with his neck and then all through his coat, his tail, and legs. Keep the solution on for around 10 minutes before washing it off. After you rinse your dog, take a flea comb and gently split his coat, get rid of dead fleas and kill the ones that you see squirming away for cover. Dry your pet using a towel and use the comb again to find more fleas. After you are done with everything, it is vital to quarantine your furry friend. Keep it at a distance from other pets so that they remain safe and clean. For dog fleas’ prevention, it is better that you start by washing your dog’s bedding in the washing machine immediately. His bedding should include the blanket and his pillows. If you see that his bed has become really dirty and if you can even see fleas crawling over it then it is best you throw away that bed. 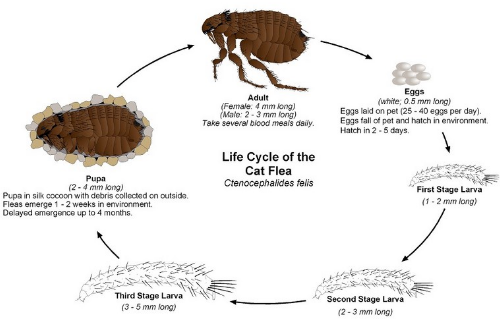 Did you know that your pet’s bed can contain a pretty scary number of flea cocoons – a single flea cocoon can launch more than a thousand eggs?! Furthermore, get an insect spray or flea regular spray and spray everything that your dog sits or jumps on. This can include the upholstery, carpets, your bed, sofas, cushions, etc. Fill a pot of water and boil it. 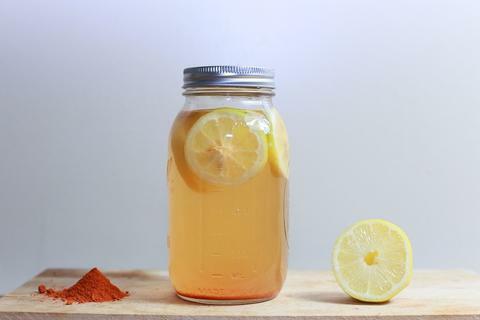 When it comes to a boil, remove it from the stove and add the fresh cut lemon slices into it. It is important to keep the lid on it after you add the lemon and let it sleep a full night. 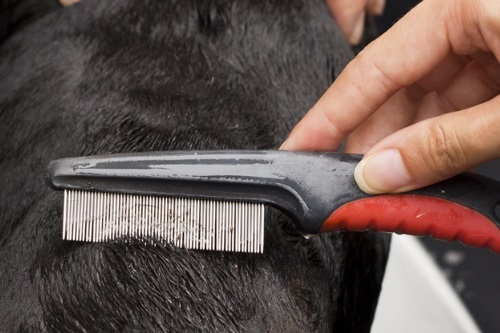 The next day, take your dog sponge or comb and dip into the pot – ensure the mixture is nice and cool. Brush or comb his coat and gently split it to get the mixture on his skin. Wash your canine buddy’s bedding once or twice each month. ​Discuss the possibilities of giving your dog medication that can make his blood toxic to fleas. Consult with your vet.